Membership is only $6.00; however, if everyone joins, $6.00 quickly becomes so much more! Board meetings in 2015-2016 will be held at Stonybrook Middle School. Meetings are open to all current and prospective members! Additionally, regular attendance of all members is encouraged and necessary for the success of our PTSA. Volunteers are always needed to assist with our various projects. Send cash,check or money order to the school and address the envelope to SMSPTSA. Include your name address, phone number, email, and child's name and grade, we will send you your membership card along with a discount card you can use at local businesses. Please make all checks and money orders payable to SMSPTSA. You can also complete the below contact form and one of our board members will gladly assist you. 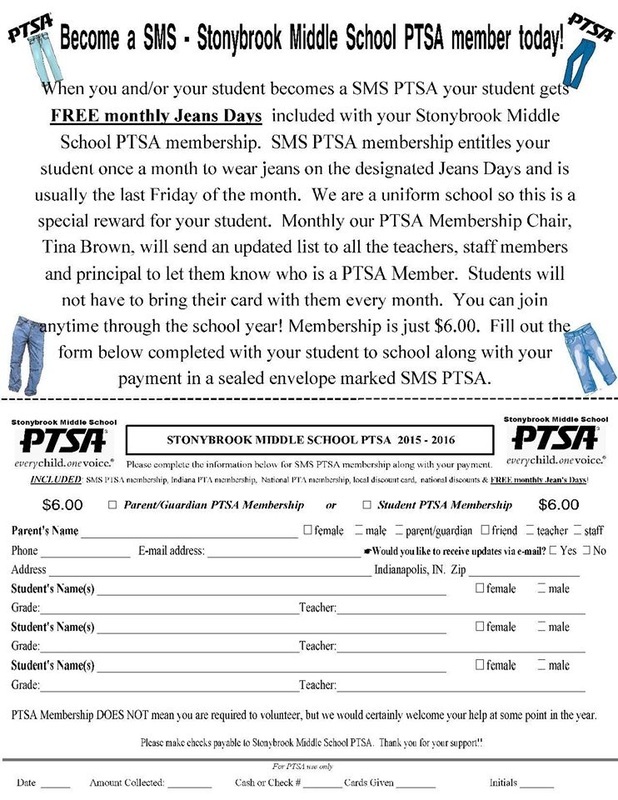 The Stonybrook Middle School PTSA thanks you for your support!